Seller Financing! 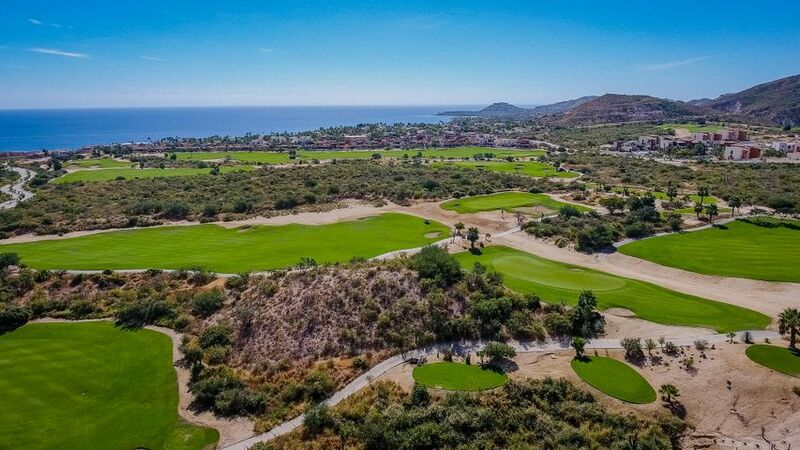 Perched regally on the summit overlooking the Sea of Cortez and the Jack Nicklaus designed golf course, this custom 3 Bedroom 2.5 Bathroom home is an elegant hilltop retreat awaiting its new owners. The home sits atop the highest peak of the 550-acre beachfront and luxury community of Club Campestre. Entering the home, note the high ceilings and open airy space giving way to fantastic views of the ocean, surrounding mountain ranges, and the beautifully landscaped golf facilities. Huge windows flood the home with light allowing Indoor living to flow seamlessly onto multiple outdoor terraces overlooking lush fairways and grand ocean views. The heated pool and Jacuzzi provide spectacular views of endless blue water, green fairways and the night skies lights of San Jose The kitchen is a chef's dream with top quality appliances, custom cabinetry, and plenty of counterspace. A large pantry and laundry room are conveniently located adjacent to the kitchen. The main living area is spacious yet cozy and features a built in complete with fireplace for those cooler Cabo evenings. The elegantly appointed Master Suite opens to the pool and jacuzzi where you can enjoy magnificent sunrises or sunsets. Two well-appointed guest rooms with private terraces ensure your visitors privacy and comfort. The home also offers an expansive 772 sq. ft. of pre-developed roof-top living space can be developed to further appreciate the amazing summit views with magnificent views of the ocean, golf course and the lights of San Jose, all waiting for your creativity. For the golf and sports enthusiast, the home has a massive 4 car garage to store all your toys. This home must be seen to truly be appreciated!